In a mesmerizing video from Thomas Bost, the world gets to see exactly what it’s like to jump into Jacob’s Well in Wimberley. 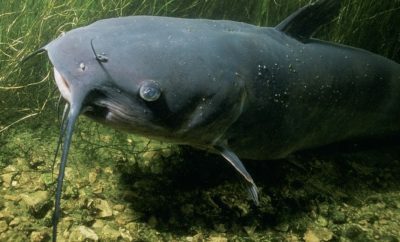 The Texas Hill Country hot spot for hot summer days has often been featured by a handful of thrill-seekers with specialized cameras geared for underwater filming. It’s also simply been enjoyed on a hot Texas Hill Country day by many more that want to swim, relax, and just plain cool off. Scuba diving is not permitted here, however, a coordinated dive with special permissions once deemed it a difficult location in which to maneuver. Featuring an opening shot underwater and swimming up to the rim of Jacob’s Well, the video goes on to show swimmers in and around it, including a dive shot into the dark cave below. Jumps into the swimming hole from varying heights also help a viewer envision the thrill of taking the plunge, as well as the darkness and depth that lies beneath. Thomas’ YouTube channel hosts a number of water-related videos, but we favored this one for some reason. Wimberley has our hearts, and this video clearly has our eyeballs glued to the screen. Jacob’s Well, situated in Hays County near the town of Wimberley, is fed by the Trinity Aquifer pushing water up through its crevices and on into Cypress Creek. Luring visitors for years, its cool water beckons casual swimmers and daredevils alike. Leaping from a nearby rock outcropping, the narrow opening of the Well is like a bullseye to try and aim for. 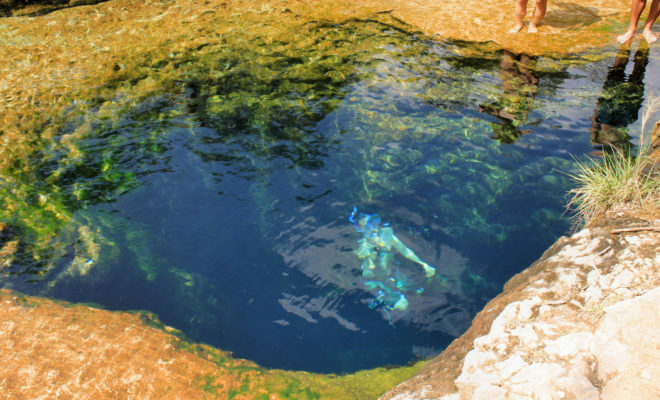 Probing the well, many free-divers have found its crevices to be as deep as 100 feet – an environment that even SCUBA divers on the Jacob’s Well Exploration Project have called challenging and unforgiving. We’re sure that was meant to reflect their context, and we’ll stick to cool and refreshing from ours.